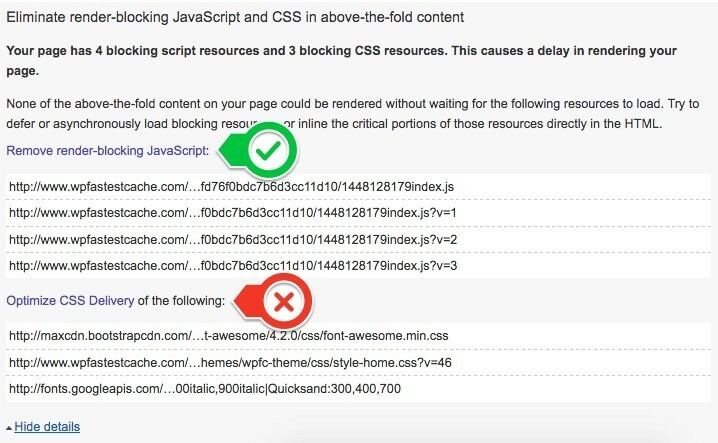 – WPFC does NOT fix Optimize CSS Delivery warning. Optimize CSS Delivery is not about “minify” or “combine” feature. Google wants the css sources to be loaded in the footer.